The International Organisation for Migration (IOM) has said that many returnees from Libya have psychiatric issues. 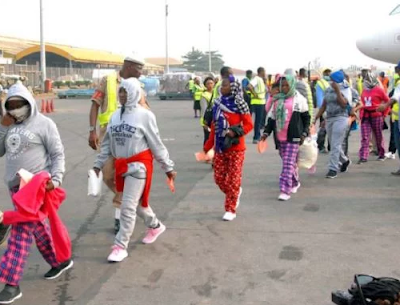 The UN agency also disclosed how it assisted in the voluntary return and reintegration of about 4, 500 irregular Nigerian migrants from Libya between January and November this year, but expressed fears that except all stakeholders extend support to the returnees, they could soon be on their way back to Libya. IOM Chief of Mission in Nigeria, Enira Krdzalic, who said this in her welcome address at the opening of a three-day National Planning Workshop on the Implementation of the National Policy on Labour Migration Action Plan in Akwanga, Nasarawa State, said the agency had been able to counsel the returnees, especially those with psychiatric problems.